As mentioned by Mike Felger on 98.5 The Sports Hub's "Felger & Massarotti" show, the Wednesday night ratings battle between Boston sports teams was not even close. In a flip from ten years ago, the Bruins came out as the clear winner, topping both the Celtics and Red Sox in a night full of New England sports. 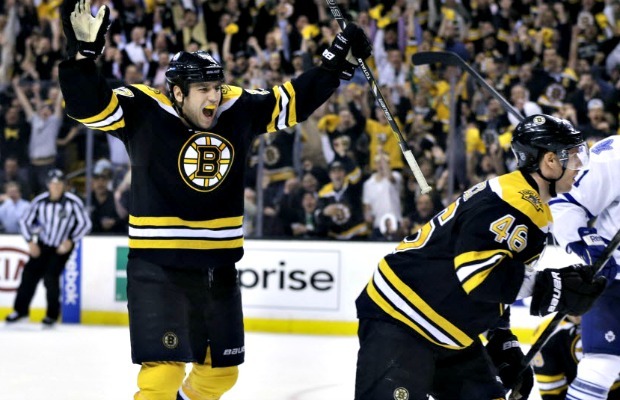 The Bruins received a rating of 9.5, much higher than that of the Celtics, who had a 5.5 rating. The Red Sox, who were televised on NESNplus (not sure why NESN feels the need to butcher the capitalization) received a rating of 4.5. If there is any doubt of the passion fans have for the Bruins in Boston, none should remain after reading Wednesday's ratings. Playoff hockey is a much different breed than regular season hockey, a more severe change than arguably any other sport. And this notion proves true on Wednesday night, as Boston sports fans came out in full-swing to show their love for Bruins hockey. While NESN has been demoting the end of the Bruins' regular season to NESNplus coverage during simultaneous games with the Red Sox, this trend will stop, as NESN will again have similar coverage of both teams on Saturday. For over a decade, it was not hard to figure out the order of popularity between Boston sports franchises. But since the Bruins' championship season in 2011, the landscape has changed drastically, leaving popularity up for debate. Here is to another week of amazing competition - off the field that is, and in the ratings.